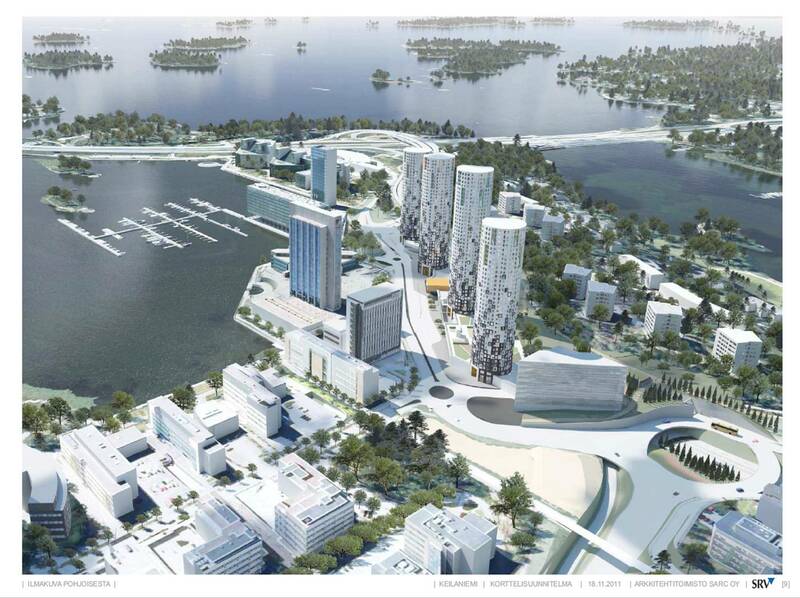 The suburban city of Espoo to the west of Helsinki has major plans for the future. The most ambitious project is to transform the so-called T3 area consisting of Keilaniemi, Otaniemi and Tapiola into one big bustling, vital center. T3 refers to the three Finnish words “tiede, taide, and talous”, meaning science, art and economy. These three words all match with one of the areas in the plan: Keilaniemi with economy, Otaniemi with science and Tapiola with art. Keilaniemi is a business park home to the Finnish technology industry and houses the headquarters of Nokia, Kone and Rovio (the company that created Angry Birds) to name a few. 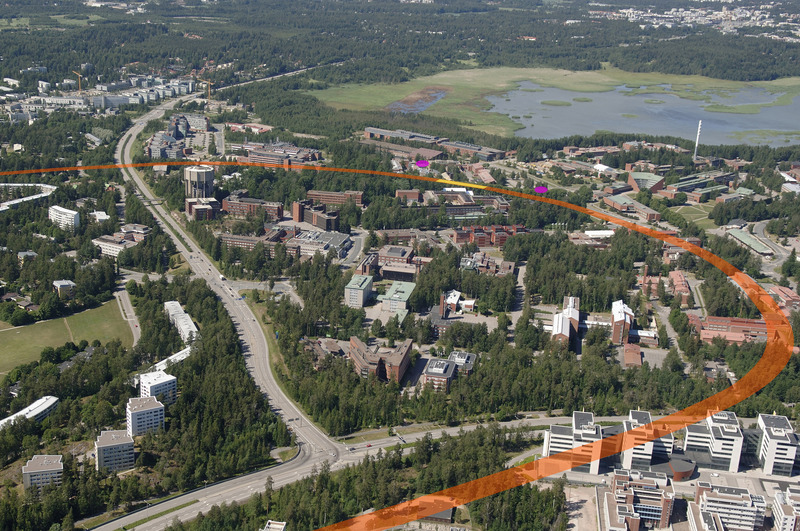 Otaniemi is where the main campus of Aalto University is situated along with other important technological research and development institutions. Tapiola equals art because it is the main cultural center in Espoo. Espoo’s goal is to create what could be referred to as an innovation city: s place where these different areas of life collide resulting in new ideas, ways of doing things, and prosperity. Walking is encouraged, everything is bustling with life 24/7 and all solutions will be so environmentally sustainable that a global recognition is granted. The bill is at least four to five billion Euros for all investments combined. The mission for city planning is to connect the dots and turn a new page is Espoo’s history. Sounds pretty nice, huh? Rhetorically, yes. But the first plans suggest accomplishing this with more of the same old same old. And in my opinion it would be profoundly optimistic to hope for something else. Espoo is the last place I could imagine introducing solutions that foster good urbanism. It is sprawl heartland. Espoo is statistically the second largest city in Finland with roughly 250 000 inhabitants and more pouring in all the time. Espoo is a classic case of a community that evolves when the center city (Helsinki) spills over its limits and loses control over its suburban areas. Espoo developed along with Finland’s fast urbanization process after the Second World War. Before that there was hardly anything there beyond a cow or two. Much like in the T3 project, the history of Espoo’s development and Finland’s sprawl “tradition” both center on Tapiola. The area can be conceived as the prototype for modernist city planning in Finland. Tapiola turned out to be a satisfying model to house the rural population flocking into Helsinki after employment (read more here). The model’s origin is in the Garden City ideology, which suggested that the growth of larger cities should be realized through a series of compact nodes. The nodes would be connected to the center city and each other by a rail network and surrounded with a green zone. In Tapiola, however, the urban dimensions of the Garden City plan got scrapped by the modernist anti-urban thinking: people would be better off keeping a distance to the city and each other; the automobile is superior to public transport and so forth. The buildings needed to reflect the brand new architectural ideas we had adopted and already even got big names of our own in (Alvar Aalto being the most notorious). The Tapiola model turned out to be appealing especially to the rural population and the concept has been applied over and over in every Finnish city. From the first decades after WWII suburban development has taken a turn towards detached and terraced single-family homes, but all have been completed with the Tapiola mindset. It’s fair to call Tapiola the epicenter of Finnish sprawl. Espoo itself is a grand display of the Tapiola mindset. And in my books one of the strangest cities in Europe. It actually cannot really be described as a city. It’s one of those places where you can drive (and you will have to drive, walking is not an option) all day but will never find Espoo. I happen to work in Otaniemi at the moment, one of the T3 components and key areas of the city. From my office room window I can only admire a four-lane highway, not another building in sight. A couple of rooms down the hall you can see horse stables from the window. I hear there are cows somewhere nearby as well. I find it difficult to see that despite the promising speeches Espoo would be able to create anything sustaining good urbanism. Tapiola was initially sold with the Garden City ideals, but realized as something completely else in comparison to the original idea. This time round, the goal on the rhetoric level is the same; a dense urban community, which will also be a source of innovation like nowhere to be seen before. 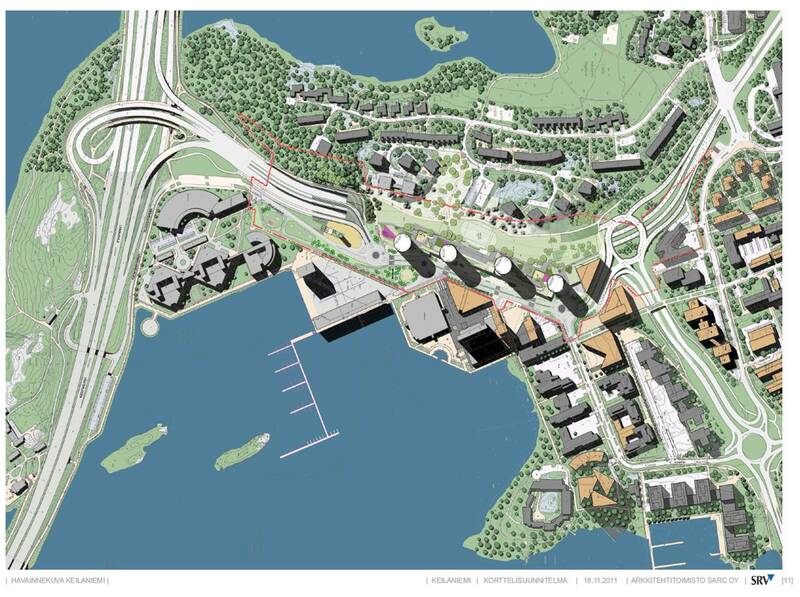 The difference between this new plan and the old one is the bigger scope with Keilaniemi and Otaniemi added into the picture. But I fear that the T3 reform is nothing short of giving the good old Tapiola model a facelift 21st century-style. The most amusing – yet very sad – part of the T3 plan is the idea of bringing people together. As if there was something new to building cities in a way that mixes functions. That’s how cities were built for thousands of years apart from the last 60 or so. There’s a time-tested innovation for you. There is nothing good in this “facelift” of Tapiola, Otaniemi and Keilaniemi. Old good things are destroyed and people’s lifes are getting harder.